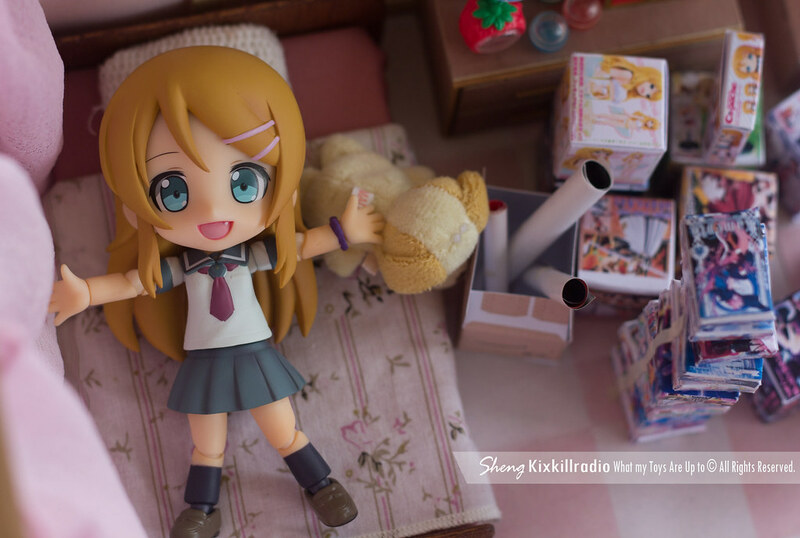 The one I will show you today is the famous character from that anime, Kirino Kousaka. 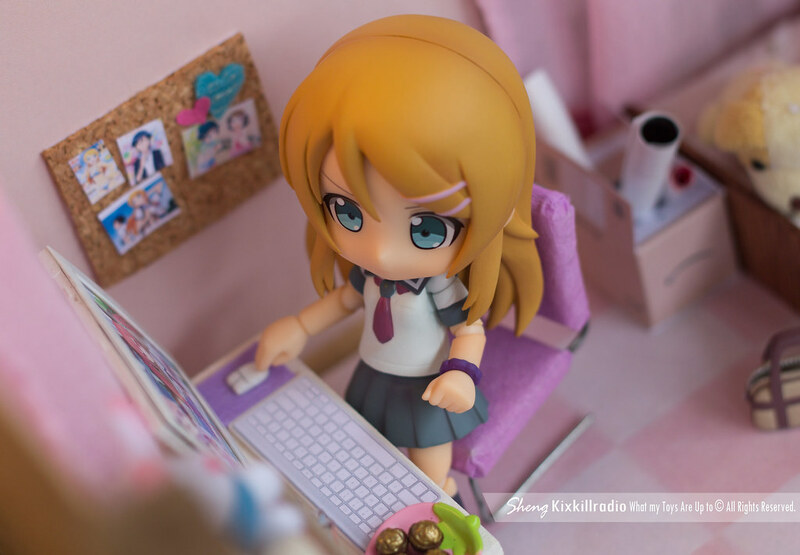 She is a 14-year old younger sister with tsundere-like and cold attitude. 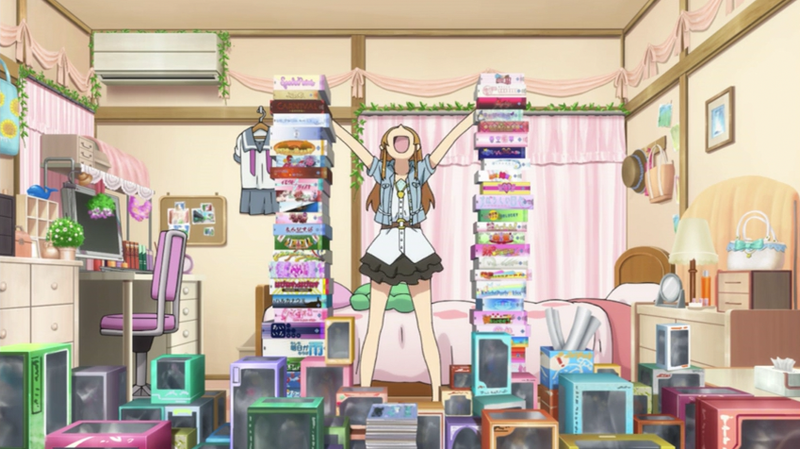 She loves adult games with a lot of older brother/little sister themes and owns other goods related to Meruru (a show in the anime). 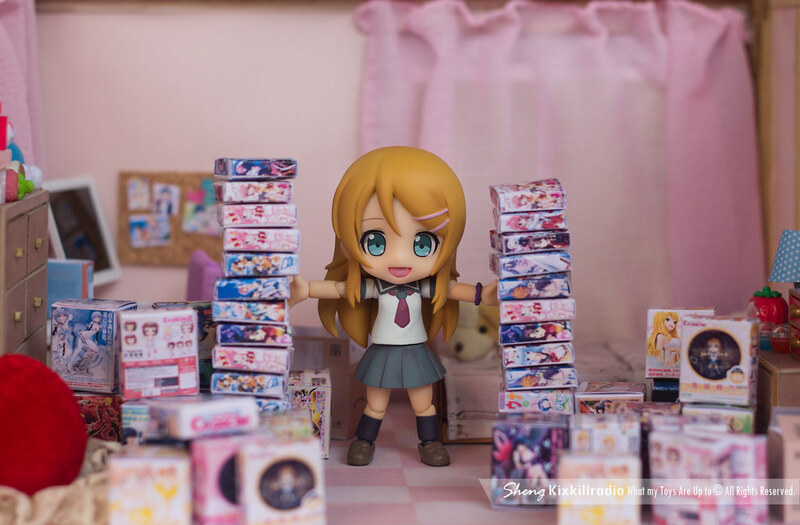 In short, she is an otaku. 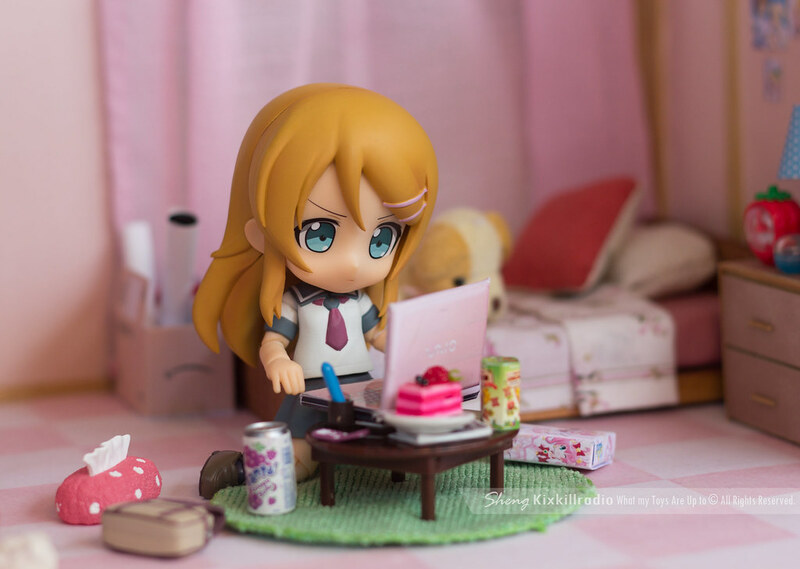 This figure is Cu-Poche Kirino Kousaka by Kotobukiya and sculpted by Hideaki Ohya. 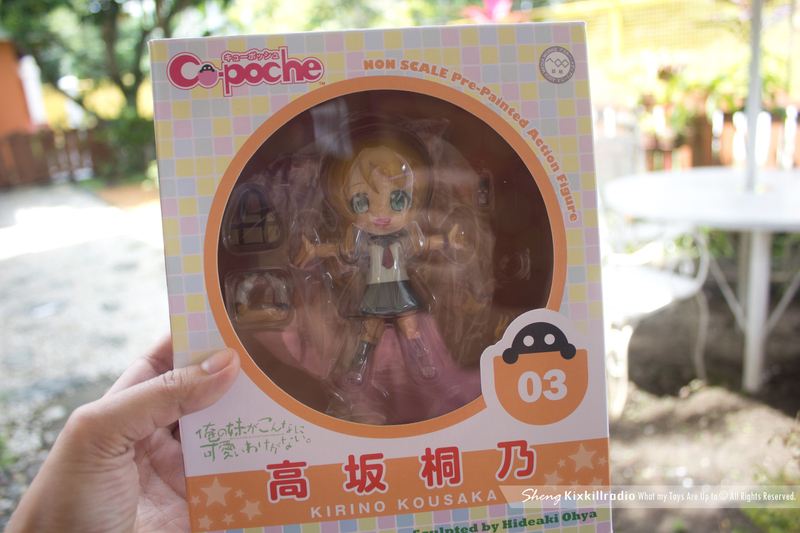 Cu-poche is highly poseable and articulated giving you various stances and cute poses. 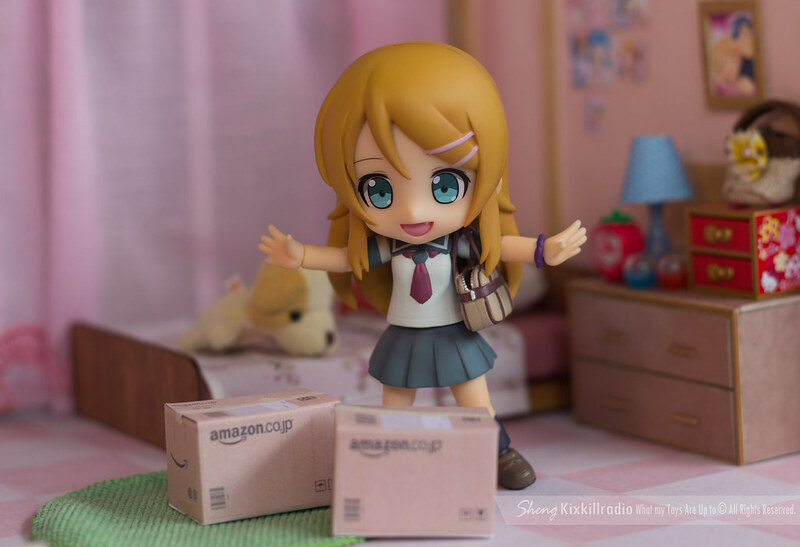 I received this adorable little one last week and I’ve been preparing for her set since I was told that they’ll be sending her. 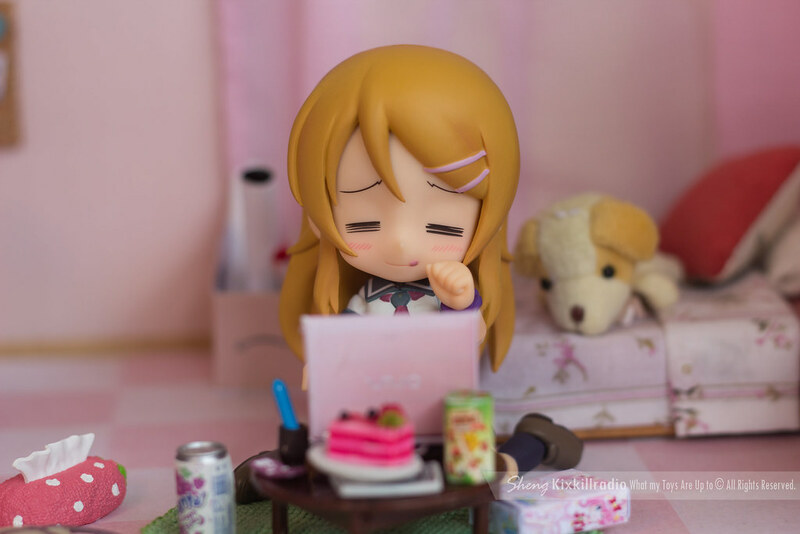 Special thanks to Kotobukiya for this figure. 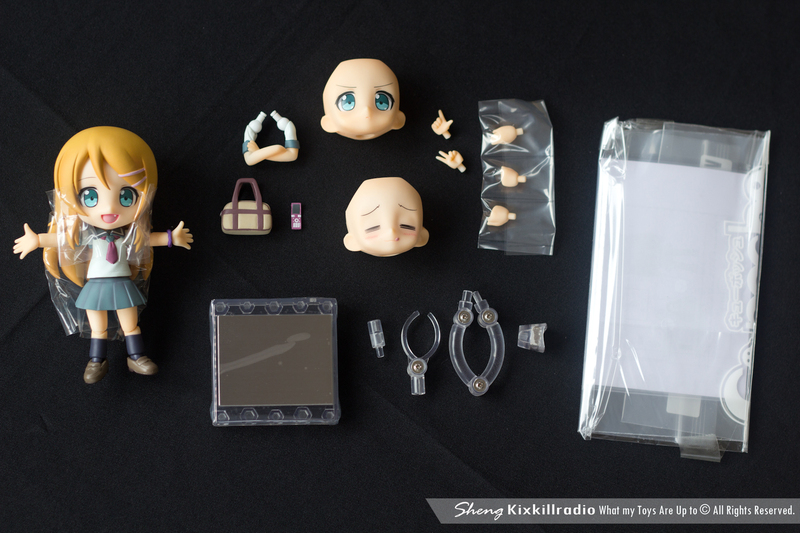 Cu-Poche Kirino Kousaka includes 2 extra face plates, 5 extra hands, 1 folding arm, bag, cellphone, magnetic stands and her own plastic. 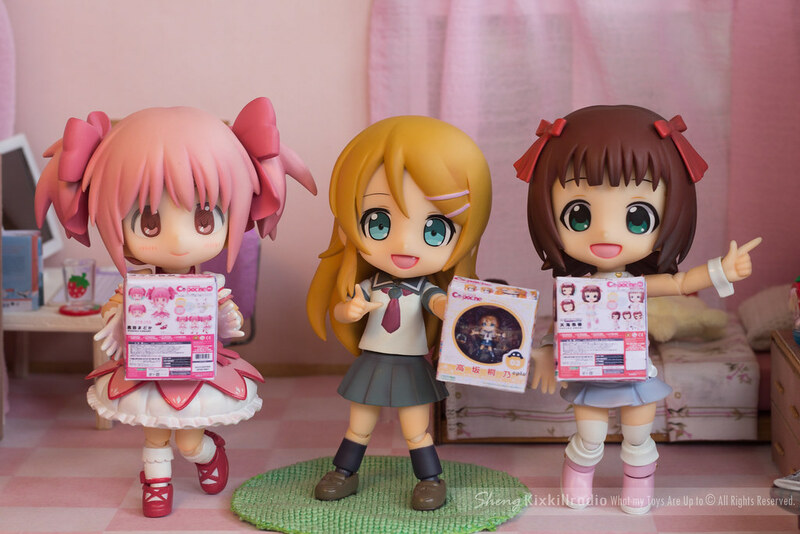 Cu-Poche figures have magnets under their feet matching their magnetic base making their poses stable. But as for me, I seldom use it. 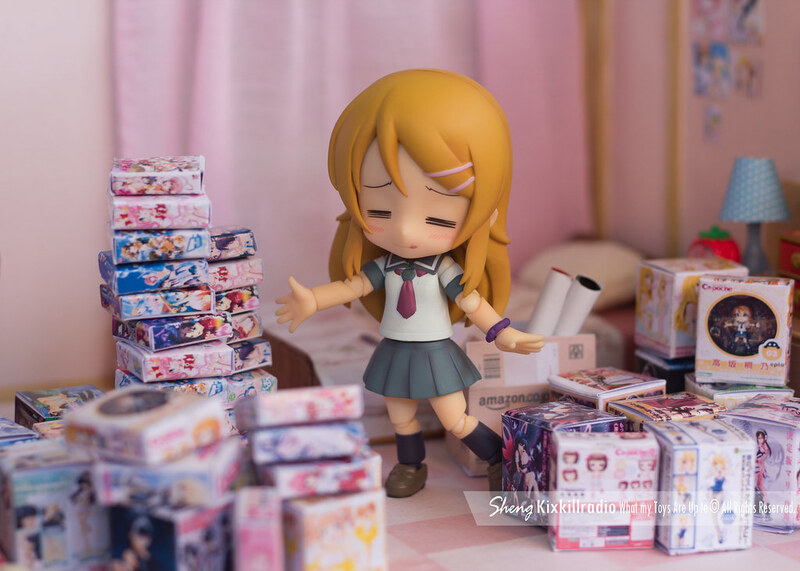 I have been asked if Cu-Poche can stand on its own even without the stand. Yes, it can but it will limit its posing so I use my own technique. 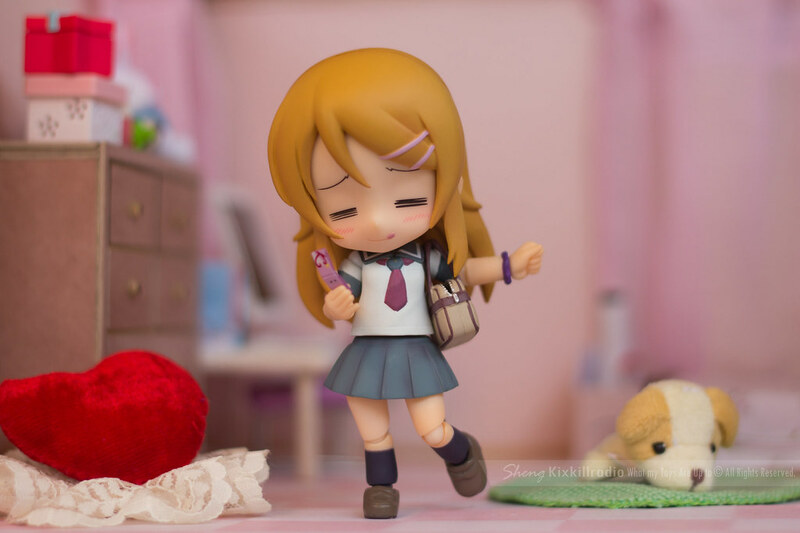 That technique is using hook wires or that plastic thing that connects the figure to its base so I can get the pose that I want. I Photoshop visible wires/stand if seen on my photos. Almost everything in this set is hand-made . I tried to recreate scenes similar to the anime. 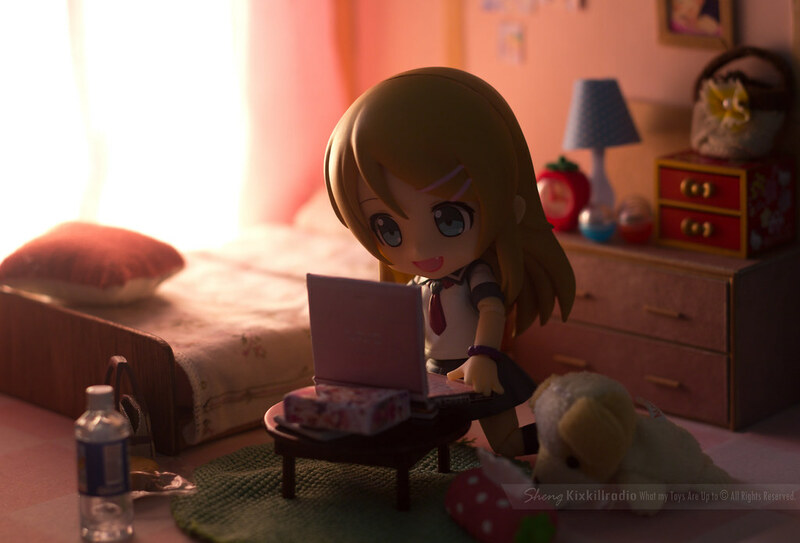 From drawers, bed, curtain to Computer. 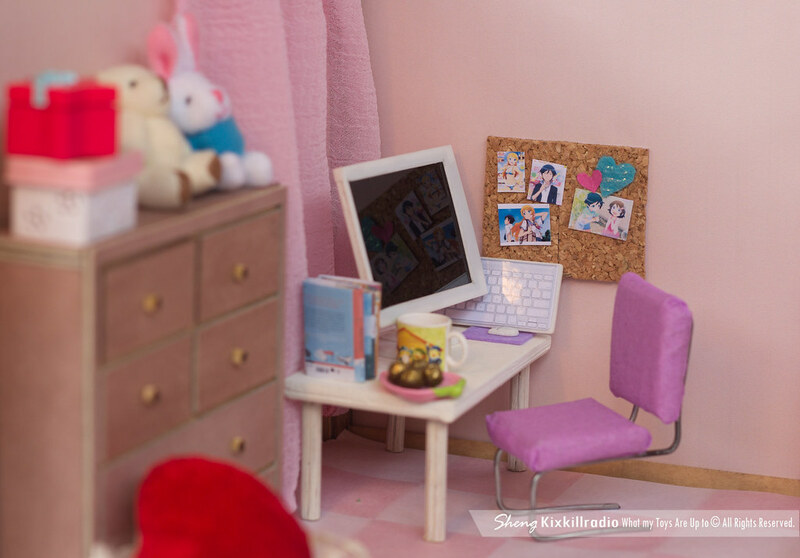 I used few re-ment miniatures for room decoration. 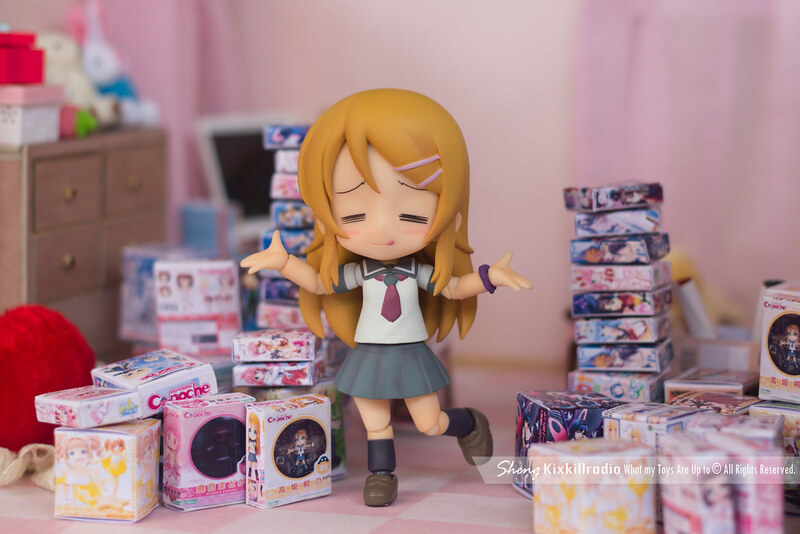 If you are a toy collector or a gamer otaku you can probably relate on how she reacts on each photos. 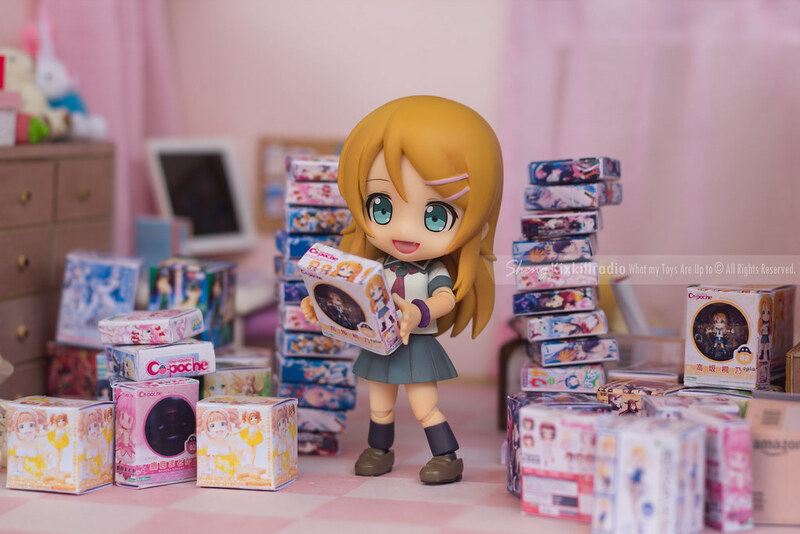 Because I do, that’s so me whenever I get a package full of figures. 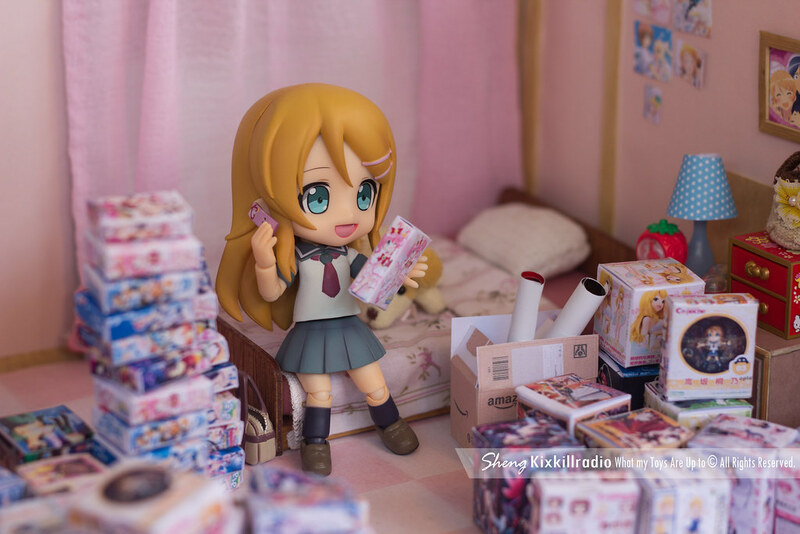 Tiny figure boxes and pc game boxes are papercraft. I scanned my Cu-Poche boxes, googled Kotobukiya figure images and then make a box template using those images via Photoshop. Does it seem like a lot of work to do? Hmm maybe, maybe not. It depends on your time and mood actually. I made some of these box templates downloadable, just click HERE. It’s up to you to re-size it however big you want the boxes to be. 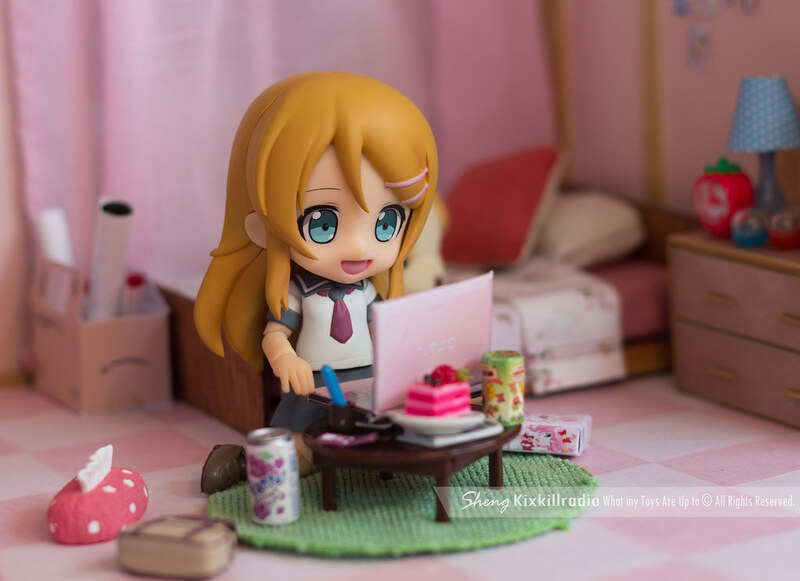 Download Kirino’s Pink Laptop HERE. You can print it on any paper, but I used photo paper and it didn’t allow me to fold the laptop to close. Anyway, happy paper folding! ^^. 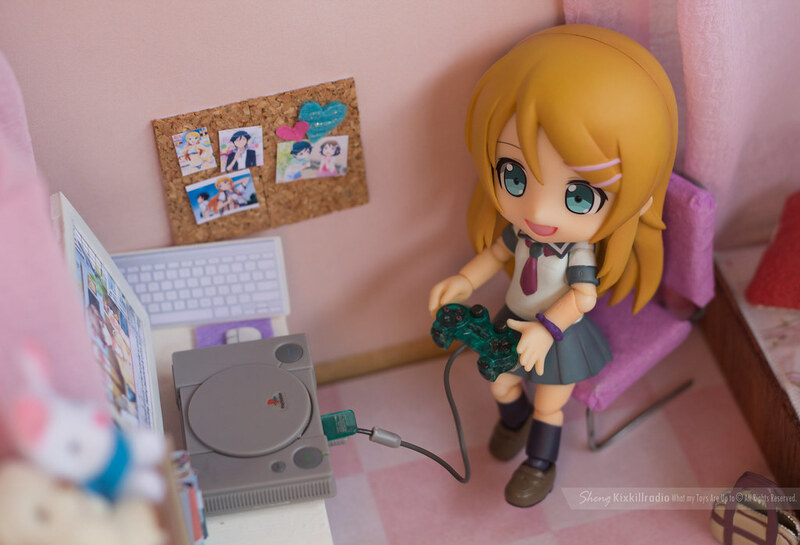 My Little Sister Can’t be this cute whenever she gets new figures and PC games! 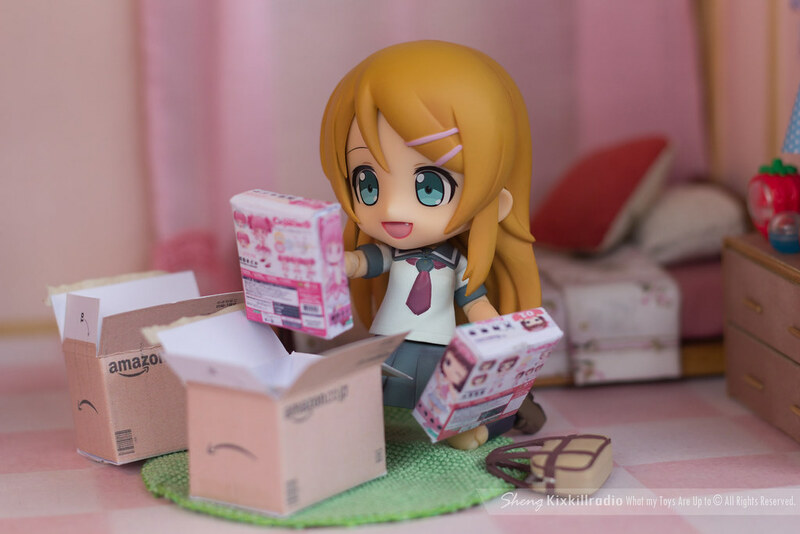 Cu-Poche Kirino is a really nice figure. 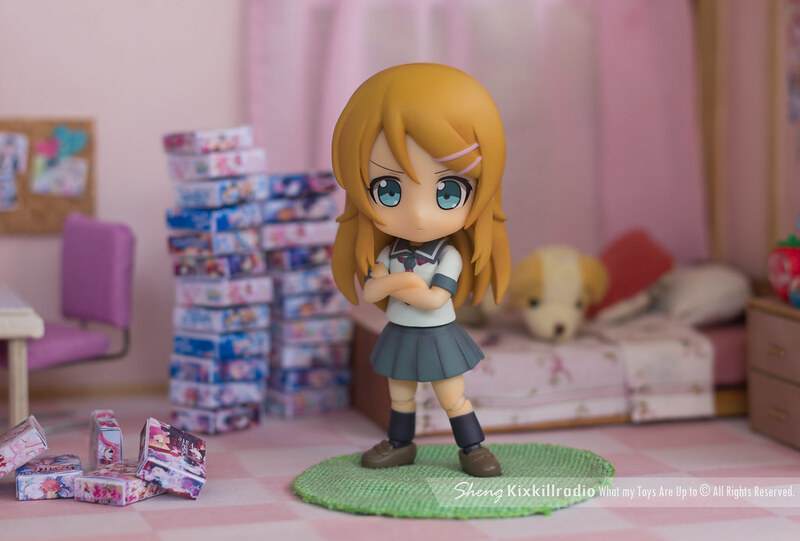 If you’re a fan of Oreimo, you should definitely get her. 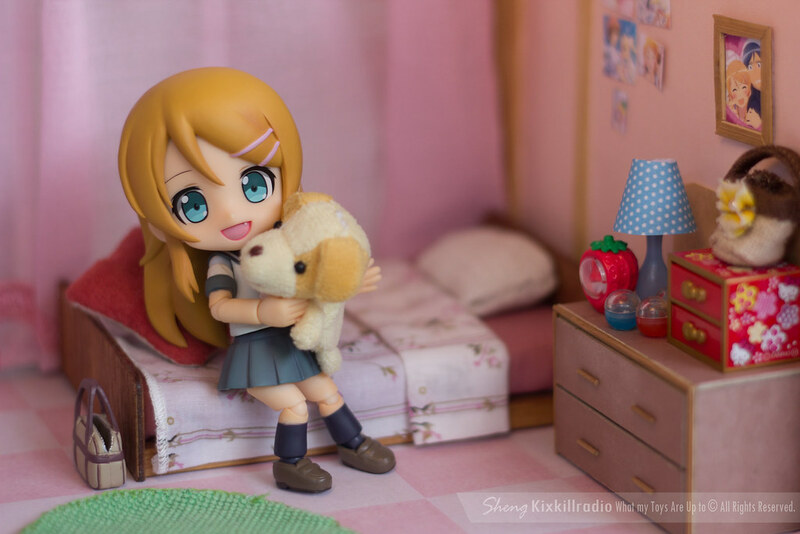 Her overall cuteness and features are a great standard that you wouldn’t want to miss. 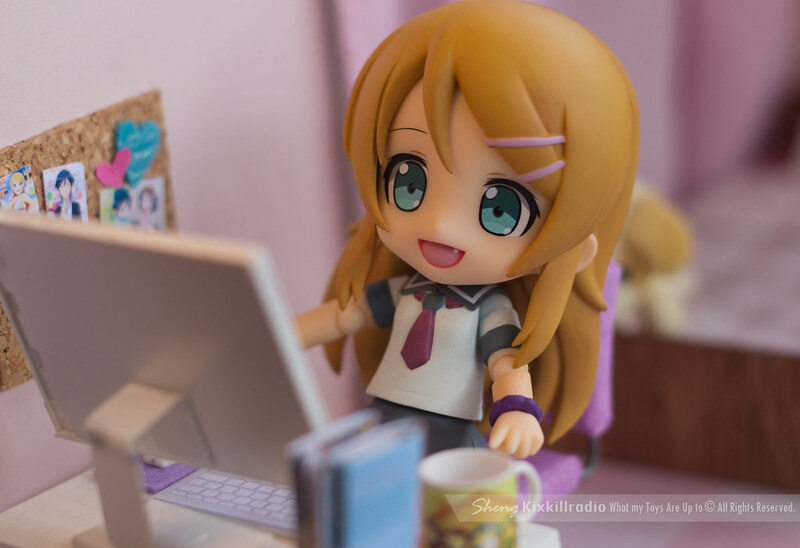 I hope Kotobukiya will make Cu-Poche Kuroneko, Saori and Ayase. 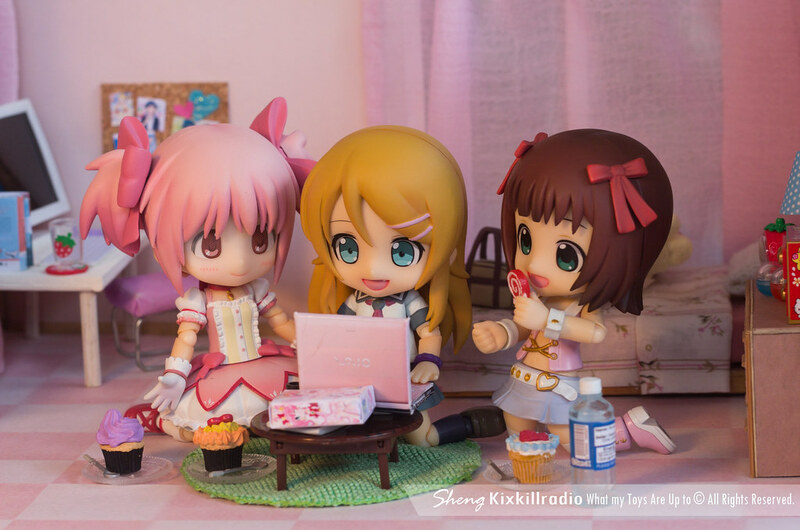 Well, I do hope they also make male character Cu-Poche to match these girls. Next Revoltech Pixar Figure Collection: Sulley and Boo from Monsters Inc. 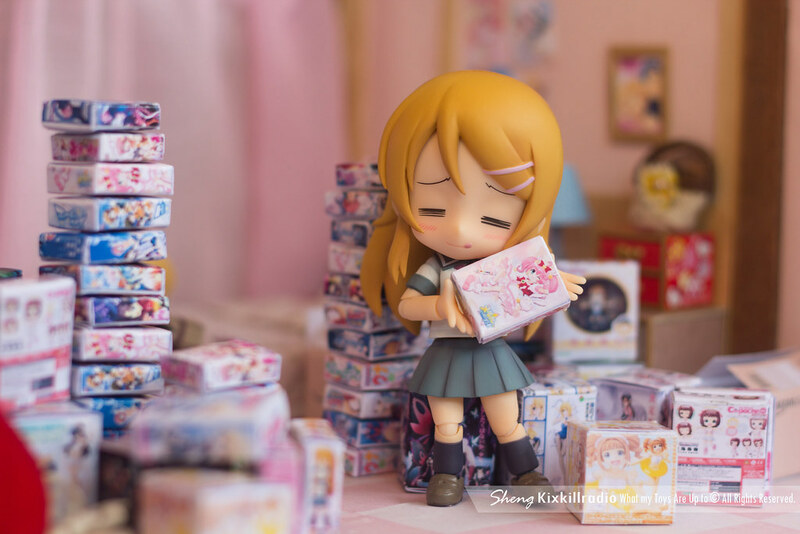 This is the best figure related thing I have seen today, and I’ve been to Akihabara ^^ Thank youThank youThank you for the box templates! The articulation helps Cu-Poches a lot. 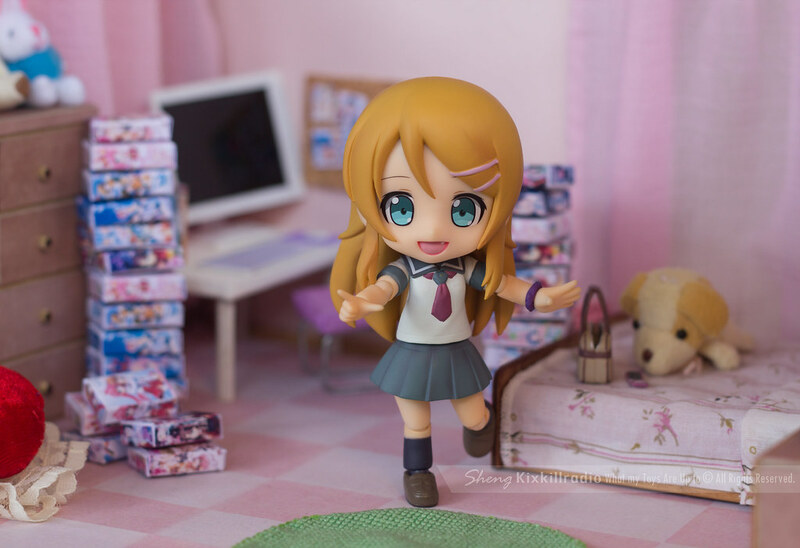 Nendoroids tend to have very cute expressions, but the poses are more limited so you have to work around that. But creativity solves all! 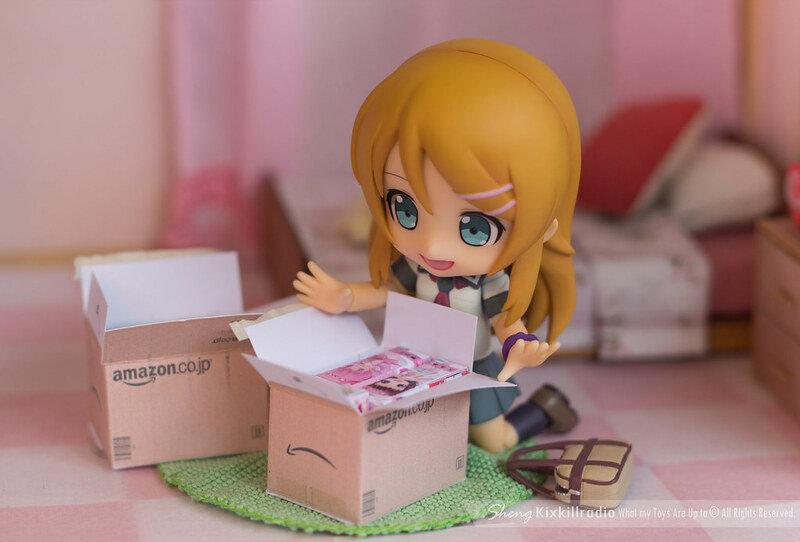 Thanks, I was really excited getting Kirino and I’ve just finished watching the 2nd season of the anime. There is too much kawaii in these pictures ヾ(＠°▽°＠)ﾉ, all the tiny furniture, re mint and mini boxes. 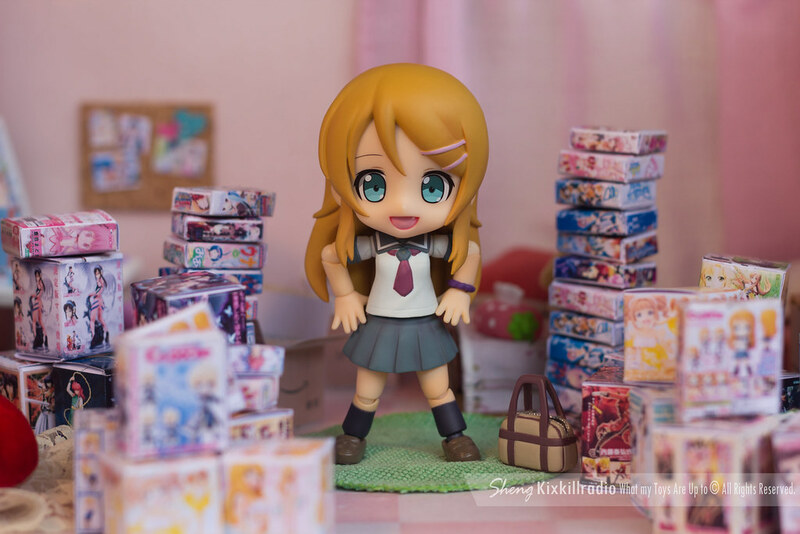 I don’t like Kirino for giving her brother hell on earth, but as Cu Poche she’s really cute. I like the (≖ u ≖) face a lot. good job on the setup and pictures of course. Hahaha. 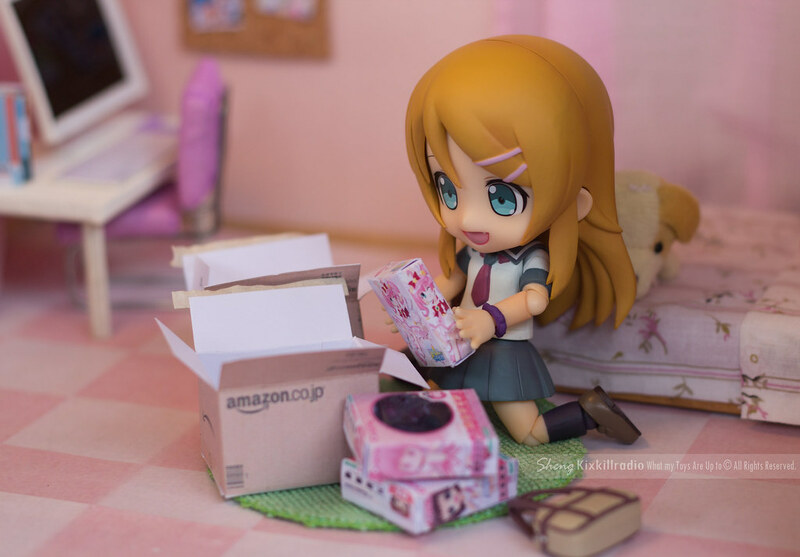 I really liked that face expression too, so Kirino in the anime. I’m happy you enjoyed this set as well. Thanks! This might be my favorite photo set ever! 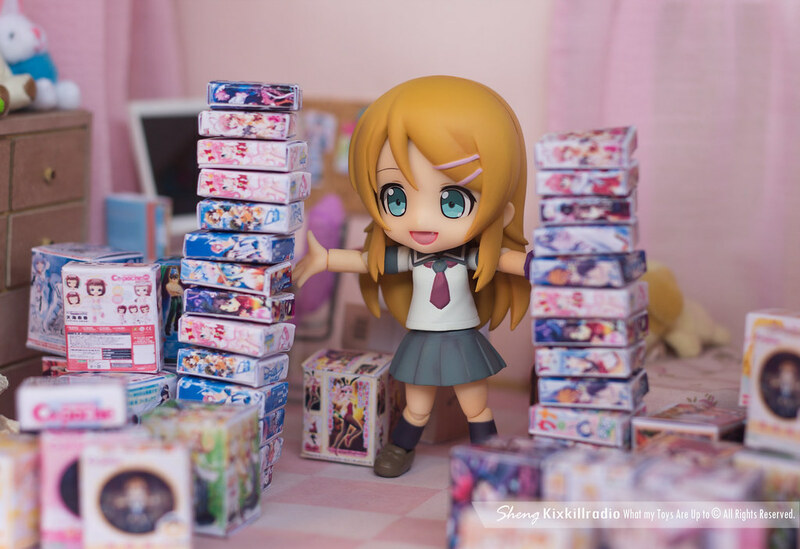 Kirino sure has a lot of figures… her collecting Cu-Poche figures is so meta!! I just love the creativity behind all these. 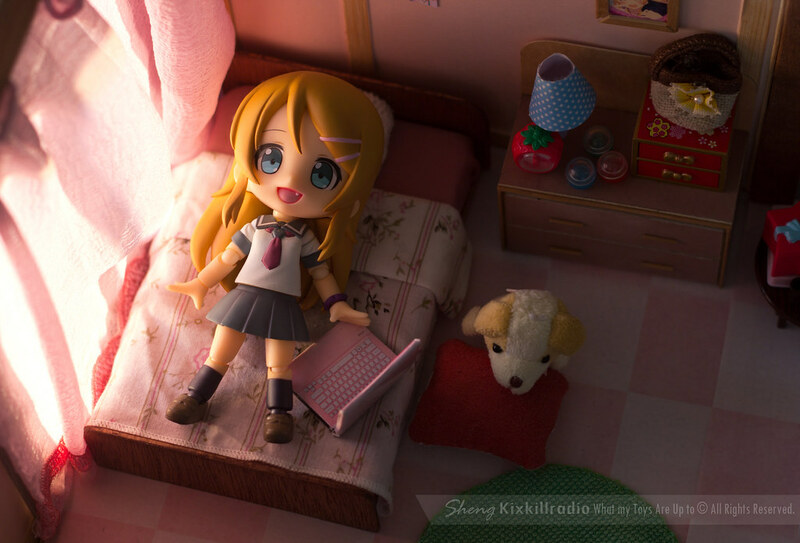 My favorite’s the one with Kirino on the bed with sunlight coming through the window. 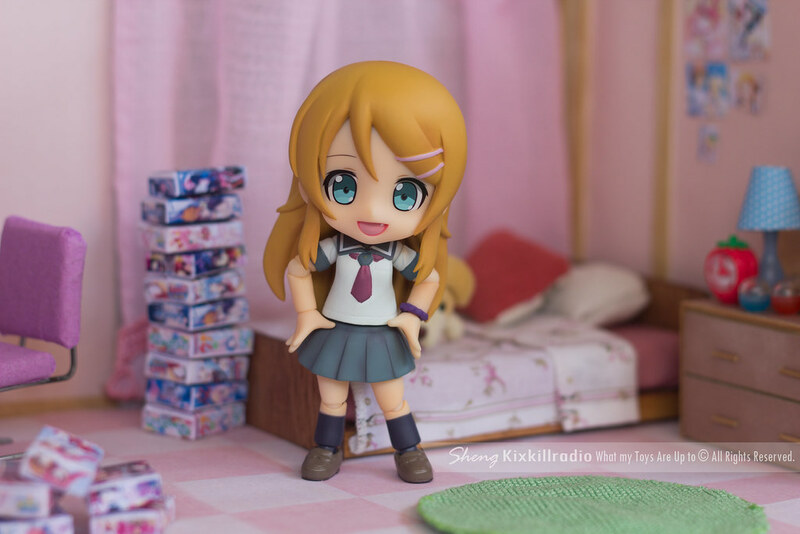 I really like her expressions too – all the essential Kirino expressions are accounted for. 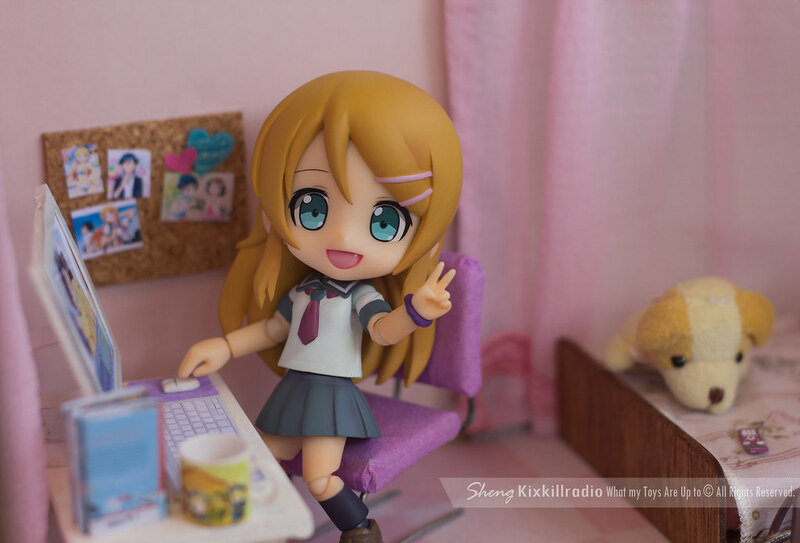 When I watched the 2nd season of anime, I knew right then what to do with Cu-poche Kirino.